Happy New Year! I hope you had a wonderful Holiday Season. Spend more quality time having fun with their kids, families and spouses. Let go of outdated relationship vampires that don’t enhance their lives. When people start cleaning out the old to make room for success, health, or spicing up their love lives, it takes energy, intention and commitment to achieve each forward motion. Sharing your new intentions live with trusted friends, a coach or a mate and writing your goals down sets things in motion. You must really want those changes to make things happen. Saying it and taking new actions each day to change old habits takes at least 30 days, so you need to be consistent. Each year I update my vision after I settle in after the holiday rush. I also make sure I keep my conversations with friends and family positive and add new photos and words to my vision board. It really sets my year in motion and we often get together with friends after New Years eve to share our dreams and visions for the new year and toast each other. It’s a blast! Then other people that are important in your life can support you while you are reaching your new goals. Many people have heard of creating a vision board or did one years ago when it was a new fad, but I must say after doing what I’m suggesting creating Vision boards works. I have been teaching classes on it, using vision boards and designing vision journals for clients for more than 25 years with many success stories to share like this one below. Victoria is a 62-year-old, beautiful and energetic graphic artist who had challenges finding men she was attracted to. She came to my vision class to manifest love and success. She doubted she would find a man who could keep up with her energy level and passion for life. 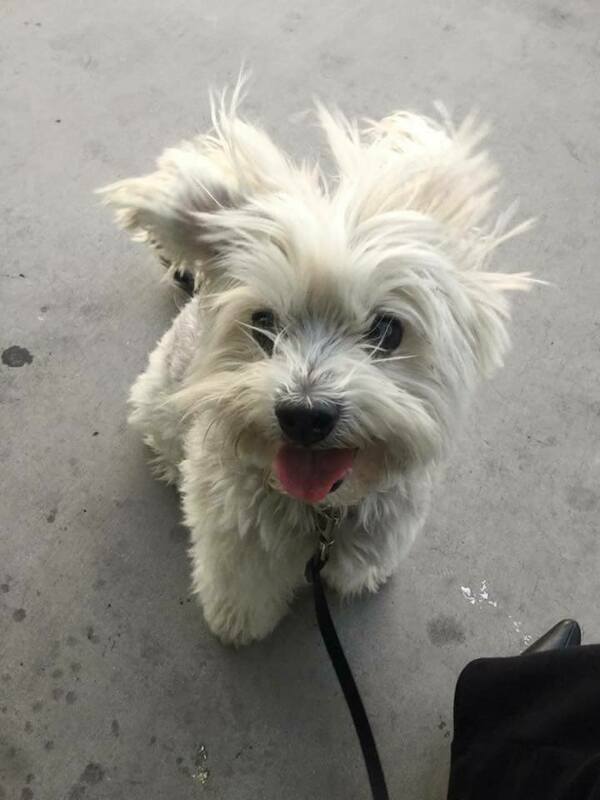 She was looking for an intelligent, romantic man who could make her laugh, was spiritual, sexually active, loved to travel, still had a full head of hair and a sense of style. 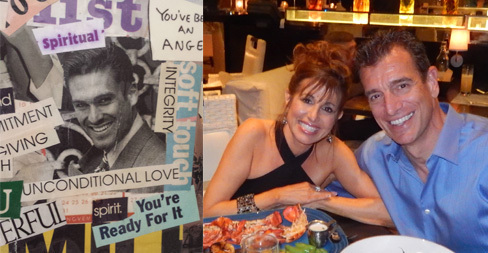 She envisioned him to look like Jeff Bridges, so we created a cool vision board for her with a picture of him on it. We added descriptive words, a photo of The Kiss by the artist Gustav Klimt, a wedding ceremony and couples in love. At the time, Victoria had been dating a nice man named James and she thought they were “just movie buddies” for months. After she added romantic words and photos of a couple kissing to her vision board, James suddenly landed a hot kiss on her and she was shocked. They realized they had built a strong foundation for a loving relationship and they also had amazing chemistry. She called me to pass on the news that her vision board had worked! She is now has been married to James for 6 years, who is a spitting image of Jeff Bridges and has all the qualities and characteristics she added to her board. They are very happy and deeply in love! Many people know what vision boards are, but most don’t know how amazingly powerful they can be. Many companies and athletes use visioning to achieve remarkable success. It is also a powerful tool to help you find love, success and meet your own personal goals. Vision boards can be simple or intricate. It’s all up to you. By taking time to cut words, pictures and power statements from magazines or other sources, it programs your subconscious and conscious minds to give you what you see and feel! 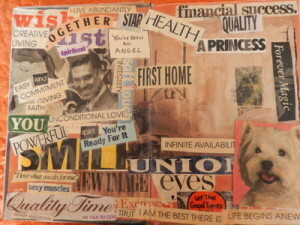 Your unique vision board represents your lifestyle, your heart’s desire and often helps you clarify your vision by doing this creative exercise. I’d invite you to check it out and to join me in the new year to Create your New Vision Board. If you have a love success story or a vision come true story, please write me to inspire others to believe in love and success. I love helping people find love and to inspire them with REAL stories. I have meet many of you over the years and heard some spicy stories and romantic tales of your love story so send them in! The one intention I have is to continually learn and grow this year and to spread my message of love to the world with my online and live classes. What is life without love? Love is available to all of us in many forms if we stay open. I’m completing my next book and teaching a class on it in January if anyone is interested to “GET READY for LOVE.” I always say, “It’s never too late to find love and it takes is an open heart and staying open to love all around you.” Want to learn how to Open your Heart to love again? 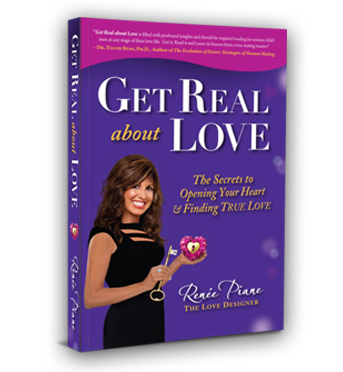 Check out my book Get Real about Love-The Secrets to Opening your Heart & finding True Love. The book offers a step- by step process to heal your past and design a new future! If you have a great love story to share, a burning question or love dilemma, send in your questions to Renee@ReneePiane.com. I can help you with your challenges. I will support you to create a New Love Story in 2018 with a LOVE Design session. Get on our list to receive FREE advice and find about all of the resources, fun social events and seminars to help you tune up your love life! 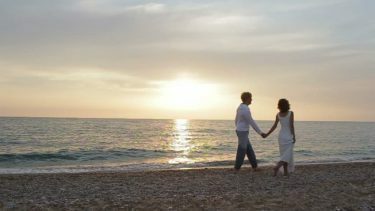 Live your life with passion… Have fun every day and express your love to those you love often. Happy New Year! © 2018 All contents of these articles are the sole property of Renee Piane and cannot be duplicated or copied without permission of the author.